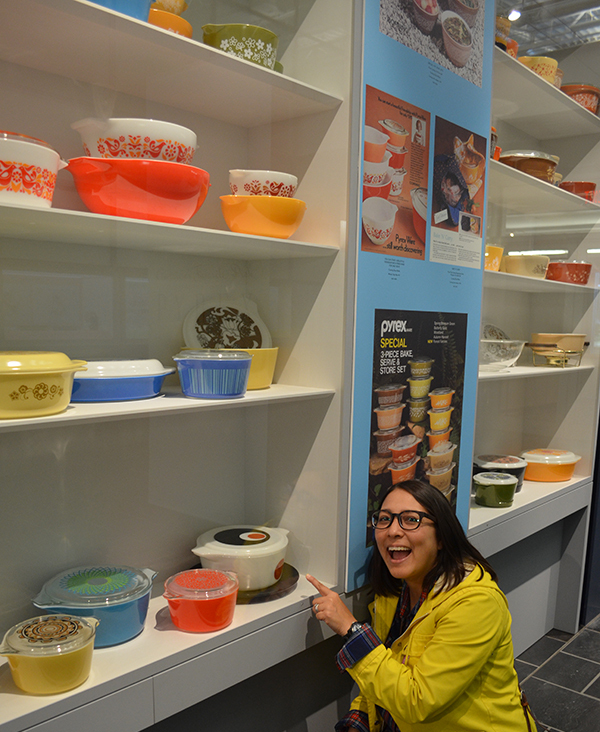 As big Pyrex fan and collector, it was practically a requirement for me to visit the Pyrex exhibit at Corning Museum of Glass. 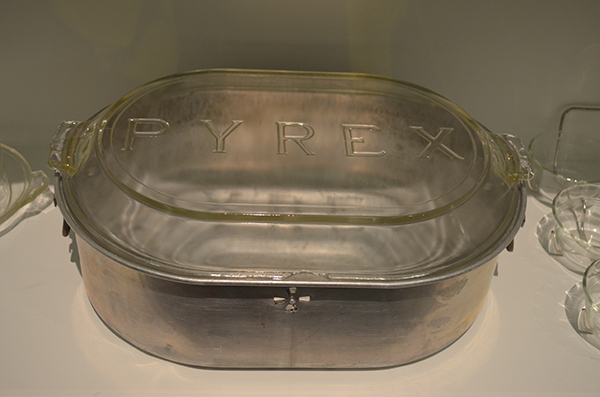 The exhibit featured a timeline of the Pyrex development. 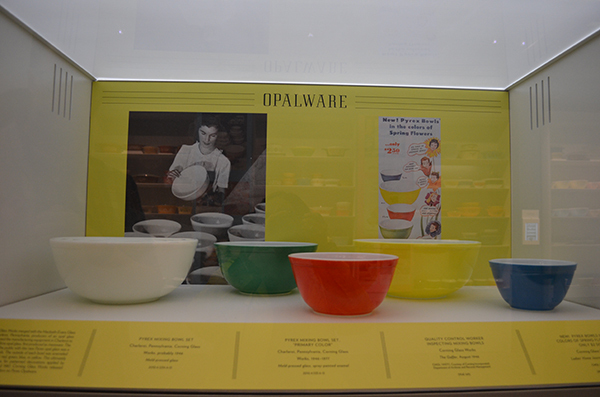 It was interesting to see the history accompanied by vintage ads and the products that were featured in them, like this set of Primary Color mixing bowls. I liked seeing which products were advertised together. And I liked seeing which pieces I have in my own collection. Yup, I have both the Super DeLuxe "UFO" casserole and the Opaque White Casserole featured in this Christmas ad. Here is Aaron pointing out one of the few patterns I don't have. A bowl called "Eyes". I pretty much walked past each case pointing "Got it. Got it. Got it." 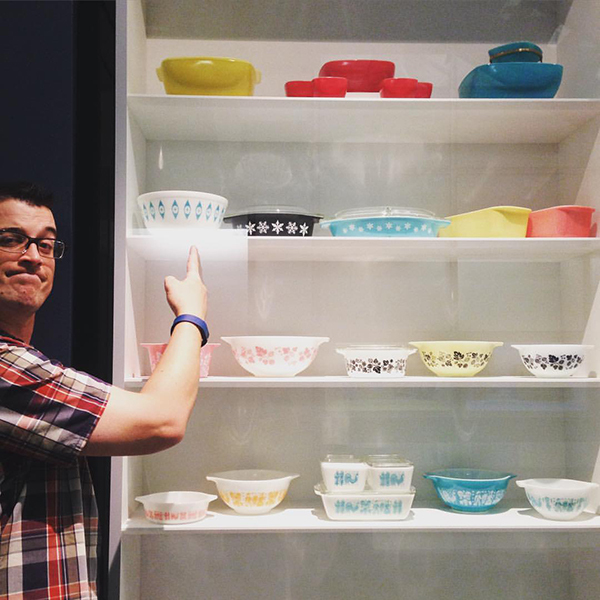 Really Corning Museum should have called me to access my collection for this exhibit. LOL. 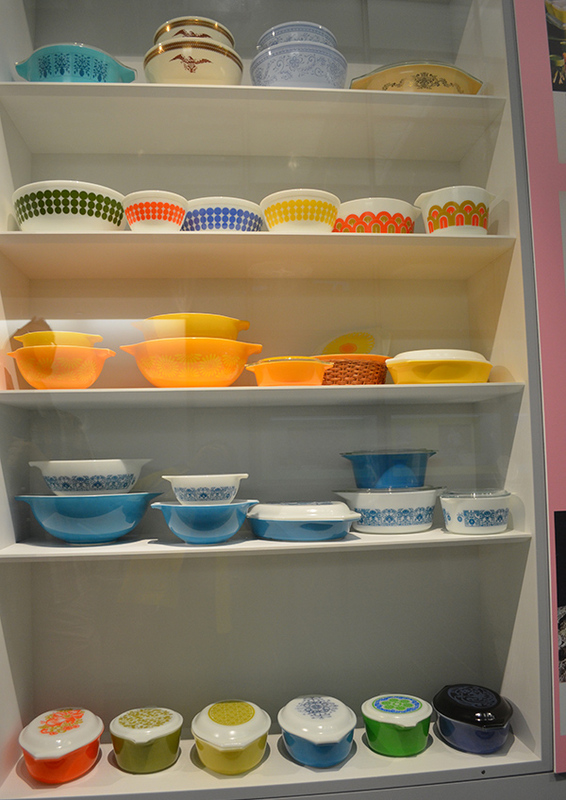 If you can't make it to the exhibit, the museum put up a website that shows many of the Pyrex patterns that were sold. Along the way I stopped to point out some of my favorites. I look crazy. 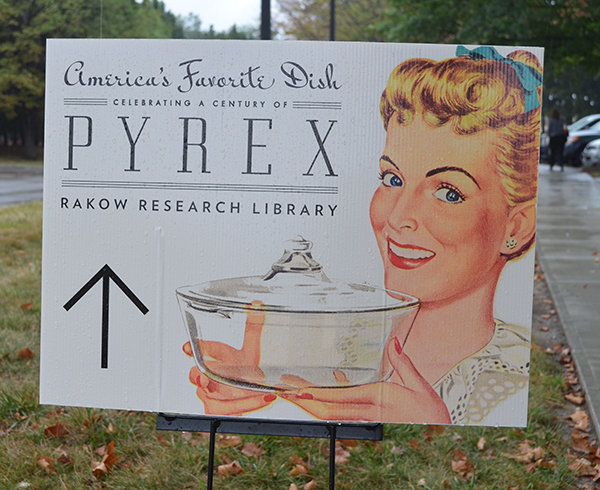 Crazy Pyrex Lady! 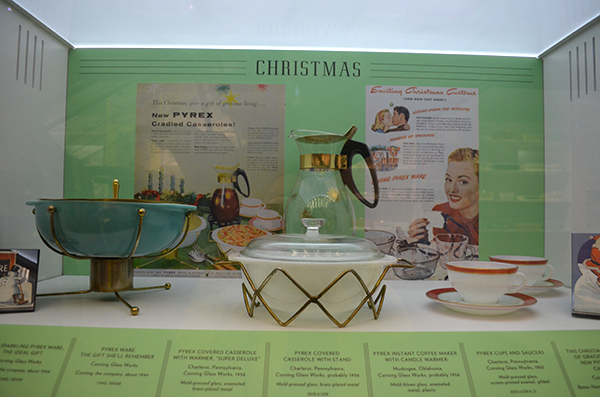 Here are a few things I saw on display that I don't have... a Pyrex roaster. 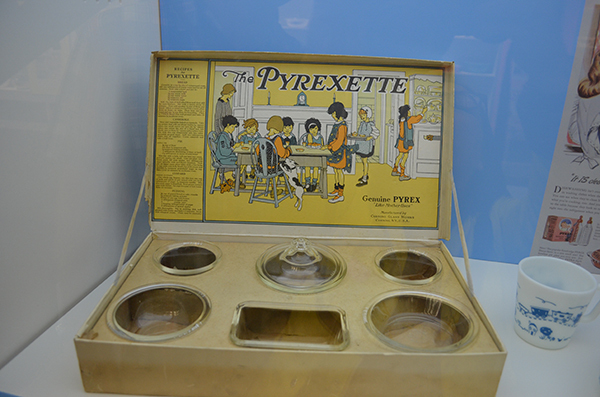 And the Pyrex children's set. We all have to have goals to work toward. This was pretty much me after the exhibit. Aaron thought that was hilarious. 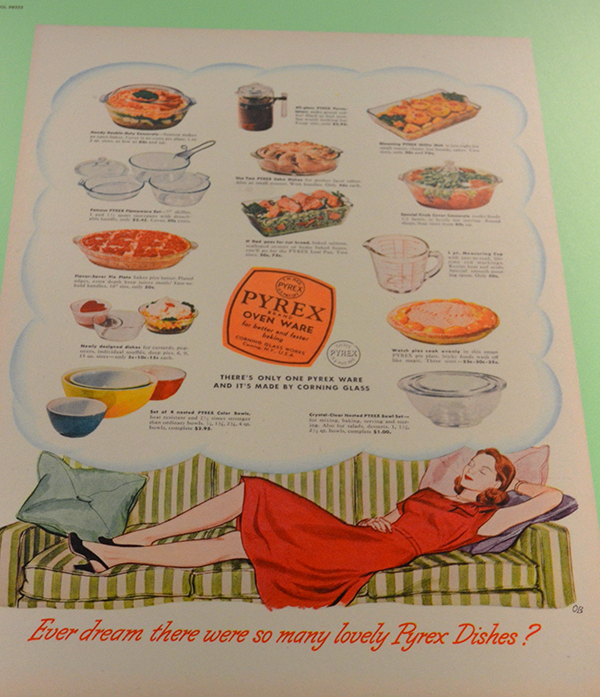 I did come home with a Pyrex pie plate. One of the 100 year anniversary releases. 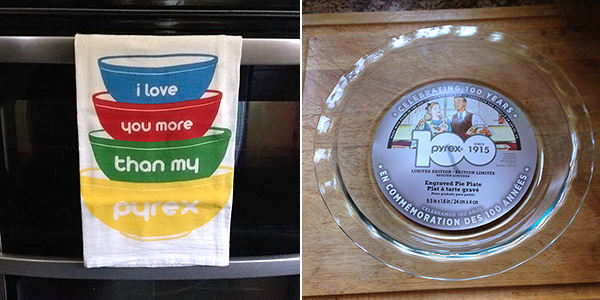 Oh and dish towel that makes me chuckle when I see it.